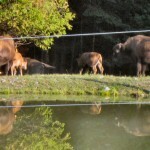 Oh, give me a home where the Buffalo roam! Yup, in Aroostook County, Maine!!! !